Riddle me this: Who’s learning project building skills, gaining techniques for community and personal development, and embracing their roles as student leaders? Why, it’s the Curb Scholars! A new year has begun, and so has work on developing a project based on this year’s theme of Activist WorldBuilding. But first, the Opening Retreat! 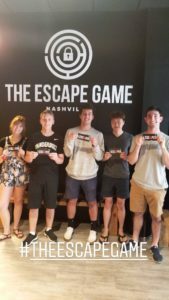 During the week of August 12, Curbies participated in a series of workshops and activities that encouraged bonding, individual, collective and creative exploration, and fun! On Wednesday, the Scholars tested their ingenuity in a Rapid Prototyping workshop facilitated by Assistant Director, Elizabeth Meadows. After lunch, they explored campus to identify areas for improvement and ideas for creative projects. 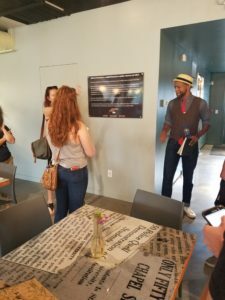 After recapping their findings, the Scholars departed for a much-needed break before reconvening at Curb Director, Jay Clayton’s house for food and camaraderie. The retreat continued Thursday with Curbies being asked to consider the history of a place. 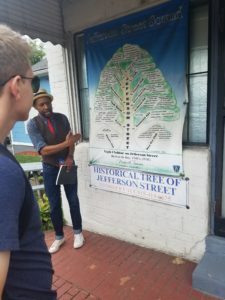 They experienced the historical landmarks of Jefferson Street, the tour facilitated by local artist and historian, Thaxton Waters. 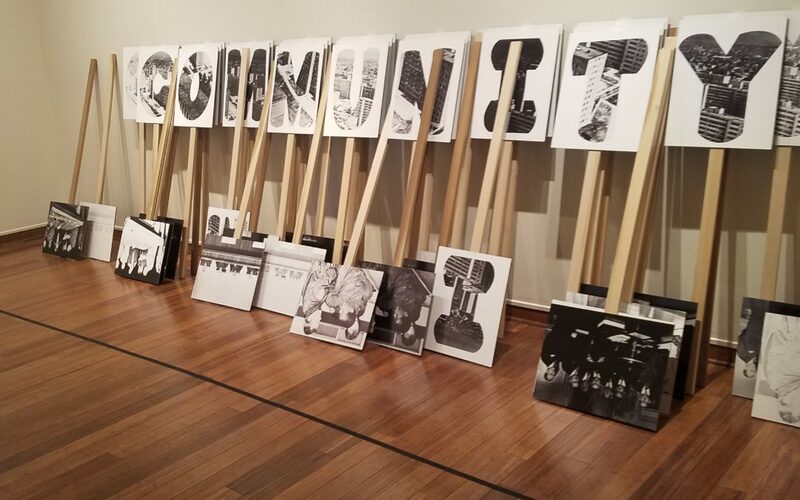 Waters prompted the Scholars to reflect on pressing topics such as gentrification and integration, but to also witness the accomplishments of collaborative resilience. Before finishing for the day, the Scholars toured RCA Studios and discussed another kind of history: music. The next and final day was full of creative stimulation and storytelling techniques. 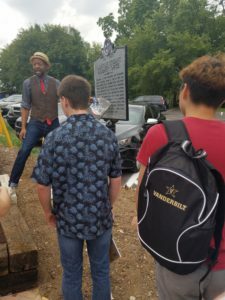 Curbies spent the morning with Troy Birdsong of Birdsong Creative considering what they wanted to accomplish as Curb Scholars and, more importantly, why. They also began a branding exercise to jumpstart tagline and logo ideas for this year’s cohort. In the afternoon, children’s author, Kristin Tubb, led Scholars through a series of storytelling exercises. The day culminated in a reception, celebrating the start of another year of Curb Scholar successes! The first Curb meeting continued the work started at Birdsong Creative with tagline and logo ideas. 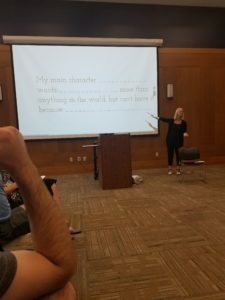 Also, Curb Creative Writing Fellow, Stephanie Davis, led the group through a reflective writing exercise to meditate on the experience of the Opening Retreat and begin to identify issues to address through Activist Worldbuilding. The Curbies are just getting started, but they are gearing up for what will be a successful year of creativity and leadership. More to come!